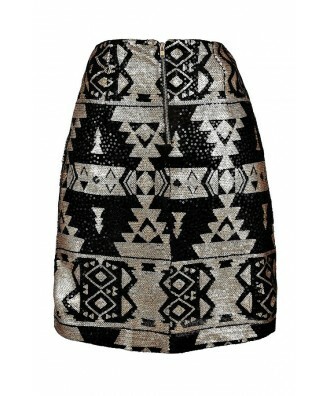 You have added Ancient Egypt Black and Gold Sequin Skirt into shopping cart. 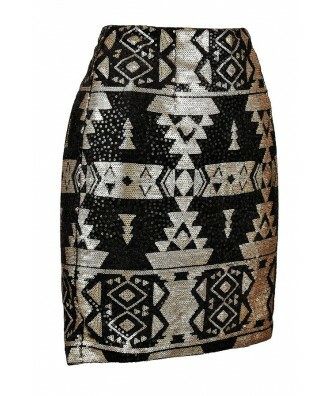 We love the geometric tribal pattern on this beautiful sequin embellished skirt as well as the black and gold color scheme. The Ancient Egypt Black and Gold Sequin Skirt is fully lined. 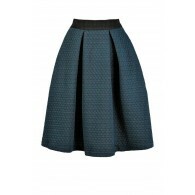 The skirt is made entirely of sequins in a unique geometric design. An exposed back zipper completes this skirt. 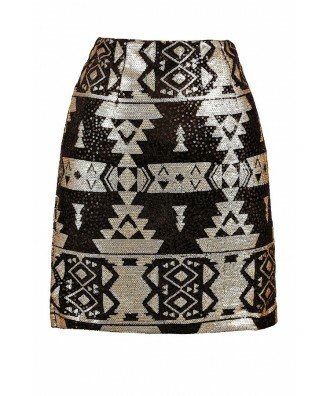 The Ancient Egypt Black and Gold Sequin Skirt would look great paired with a fitted top or sweater and heels. You could also wear a fitted black tank and a black jacket or blazer over it. 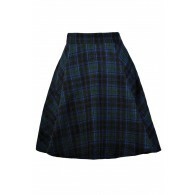 Another option is to wear it with a cute blouse tucked in. This is a great look to wear to any party or your next night out with friends. Details: Fully lined. Exposed back zipper. 90% nylon, 10% spandex. Dry clean only. 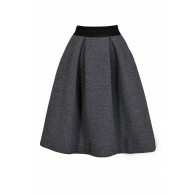 Small measurements: Length from top of waist to hemline: 15.5". Waist: 29". 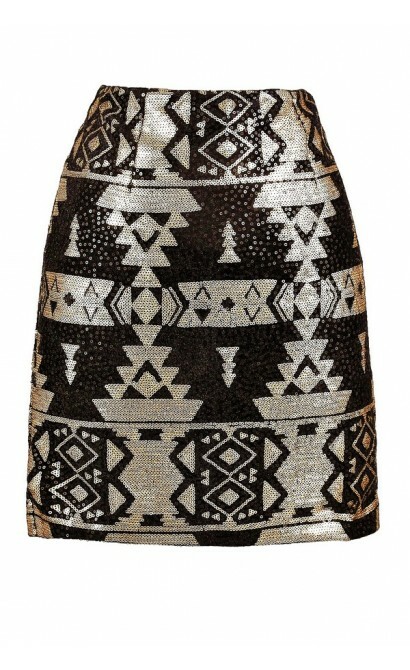 You have added Ancient Egypt Black and Gold Sequin Skirt into Wishlist. 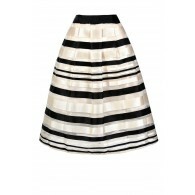 You have added Ancient Egypt Black and Gold Sequin Skirt for Stock Notification. You have set Ancient Egypt Black and Gold Sequin Skirt as a loved product. 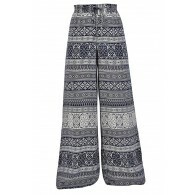 You have removed Ancient Egypt Black and Gold Sequin Skirt as a loved product.